Cost: $24.00/session or $220.00 10 visit card. No bookings required, just turn up! See you there! We look forward to showing off our Mont Albert pool again in January 2019! Over the decades people have run, jumped, bounced and pumped their way through fitness routines which may have left them with damage to their joints and muscles. 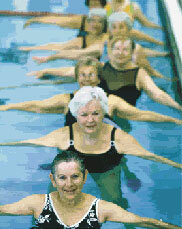 Exercising in water is a safe and effective alternative. Gentle water exercise (or hydrotherapy) is an excellent choice for those with arthritis, muscle injuries, joint replacements, weak muscles or other mobility restrictions. It provides support for the body while you do various types of muscle movements in the water, sometimes utilising equipment to challenge capabilities. 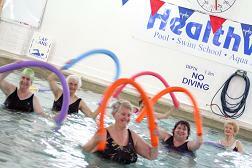 Aqua Lite Exercise Classes. Very gentle ‘continuation from rehab’ or just to improve your balance and range of movement. Enjoy a variety of exercises, joined in such a way as to challenge your range of movement and balance. Gentle exercise will stimulate your muscles for sustained recovery. No need to book in advance, you can just turn up. Aqua Gentle Classes. Excellent for people with joint issues. Especially those with arthritis or who have had hip, knee, etc replacements! The warm water soothes joint pain and improves muscle flexibility and balance. This class also provides movements for those easing into fitness. You’ll feel refreshed and more supple when you leave! No need to book in advance, you can just turn up. CLICK HERE for group exercise class timetable & pricing for these classes. Remember: You can also come outside of class times to do your own hydrotherapy routine. 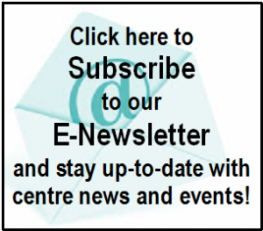 CLICK HERE for Pool availability timetable. Aqua exercise is fast becoming a popular alternative form of exercise, having significant benefits for people of all ages and ability. Recently, health and fitness providers have created water exercise programs that give you a workout to raise your heart rate to a training zone. In fact many AFL football clubs include water exercise in their training programs, dispelling the myth that aqua workouts are always gentle! You can increase or decrease the exercise intensity easily in the water. It is very possible to improve the efficiency of the cardio-respiratory (heart-lung) and cardio-vascular (heart-arteries-veins) systems. Did you know…? Many think that aqua exercise is a recent innovation, however some ancient civilisations of the world (Greeks, Chinese and Romans) used water for exercise and practical therapy. Exercising in water is one of the highest calorie burning activities, and certainly the kindest to your muscles and joints. Additionally, water activities exercise the whole body – the legs, stomach, arms and back. Have a look at the table right and note that the equivalent calorie count for water options is achieved with less effort compared to the land option. This is because the water creates resistance with every movement. 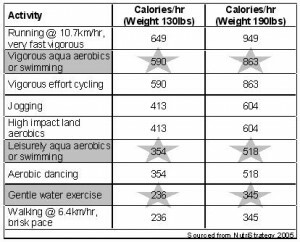 For example: ‘Leisurely aqua aerobics or swimming’ is the same as ‘aerobic dancing’; and ‘Gentle water exercise’ is the same as ‘walking @ 6.4km/hr, brisk pace’. So if you want to loose weight, increase your metabolism, protect your body from injury, and you enjoy the water, then water exercise is a great option for you. For class times CLICK HERE for the group exercise class timetable and prices. Remember: You can also come outside of class times to do your own aqua exercise routine. CLICK HERE for Pool availability timetable. We look forward to seeing you in the water soon!